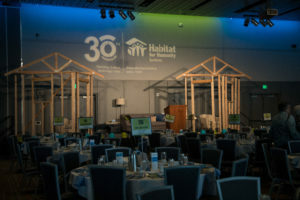 ANNUAL HOPE BUILDERS LUNCHEON April 25, 2019 As more families in Spokane struggle to keep a roof over their heads, this annual fundraiser helps us to raise critical funds to provide safe and affordable homeownership opportunities for those who need it most. HOMEOWNERSHIP Everyone deserves a safe, affordable place to call home Habitat for Humanity-Spokane partners with individuals and families in need of a safe affordable place to call home. The mission of the Habitat Store is to provide sustainable, long-term financial support to the mission of Habitat for Humanity-Spokane. We hold many events you can get involved with throughout the year. Check out our latest upcoming events. We look forward to meeting you. No matter who we are or where we come from, we all deserve to have a decent life. Everyone deserves the opportunity for a better future.